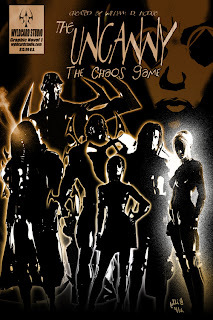 Victor E. Hodge: KICKSTART William Hodge's The Uncanny!!! 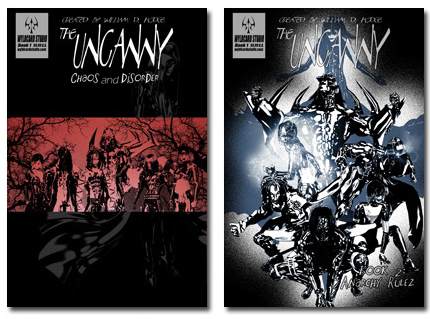 KICKSTART William Hodge's The Uncanny!!! Okay. He's at it again. That's right! The fabulous and incredible ---- Dun!Dun!Dun! --- William Hodge, artist and creator of "The Uncanny" and --- (heh-heh) --- MY big brother has put together a Kickstarter project!!! I may have mentioned him before - WILLIAM HODGE. Okay. I did. You may have remembered me mentioning the success of Veronica Mars: The Movie because of Kickstarter. Kickstarter is a program that helps people, generally artist, receive donations in the form of pledges in order to fund their projects. Well, congratulations have long been in order since my big brother did a whole year of consistent work by putting out 7 issues of The Uncanny, including a prologue issue. He ALSO put together two compilations (issues 1- 3, then issues 4-6), additional stories, sketches, previews and a trade collecting everything and then some!!! That's a lot of work in one year. 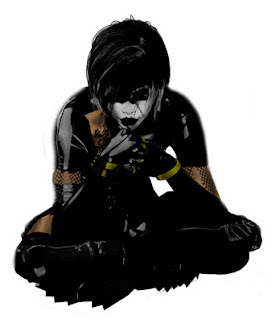 This is not to mention the issues are slowly but surely showing up on the infamous Comixology --- DIGITALLY!!! 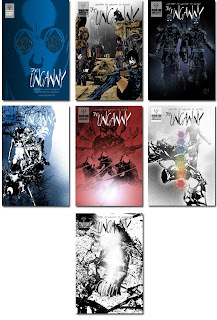 The Uncanny #1!!! Well, Kickstarter will not only further fund and fuel his creative endeavors, but it will print up issues that he can sign and sell at comic book conventions across the country!!! But, he needs your help AND your M-O-N-E-Y! So, you're not just giving him your money. Your pledges/donations also come with a load of other goodies including the books!!! And, there's a whole list of them on William Hodge's very own The Uncanny Convention Special Comics Kickstarter page!!! (He's not asking for a lot, people. In comparison to others, he's really isn't.) But, hurry --- this opportunity for COOL AZZ COMIX is available until AUGUST 11, 2013!!! HURRY!!! You won't regret it!!! Click here and pledge!! !